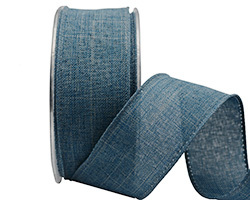 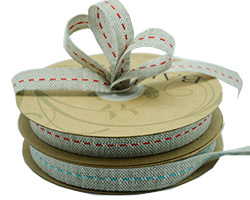 A classic linen ribbon with a contrasting edge stitching. 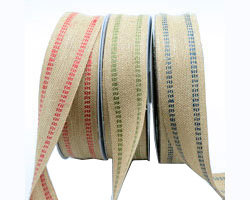 Available with either Pale Pink, Pale Blue, Hot Pink, Red, Black, Green or White stitching. 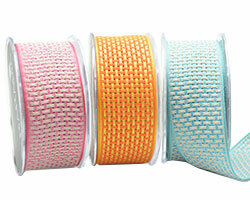 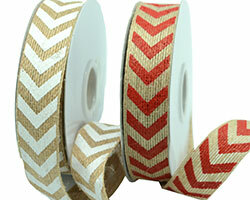 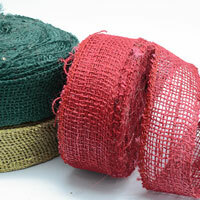 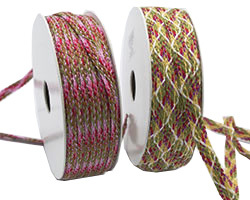 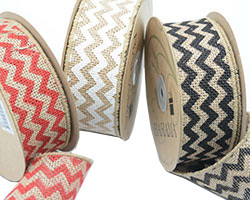 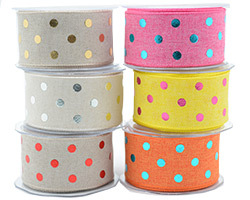 A rustic looking narrow jute tape in Natural, Light Natural, Red, Avocado, Orange,(new) Hot Pink (new) and Navy. 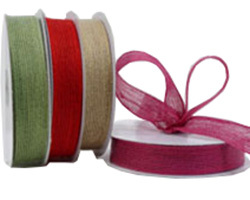 A canvas style ribbon with a contrasting central stitch, available in the following colours: Red/Green, Moss/Green, Raspberry/Red. 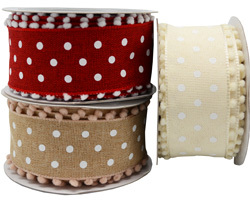 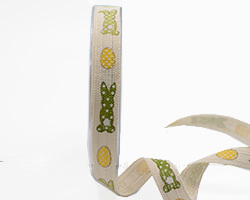 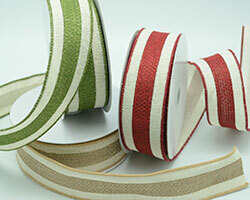 A natural style ribbon with a bright bold stitching. 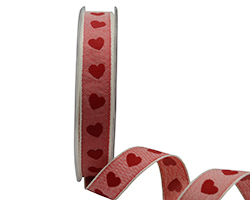 Lovely, natural style heart ribbon with slight contrasting edge. 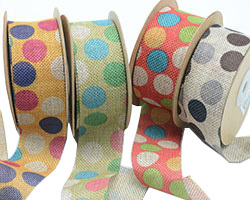 Fabric cotton tapes complemented by simple yet interesting prints. 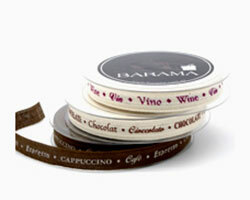 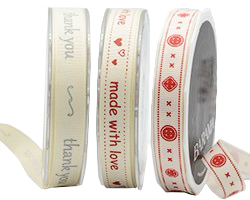 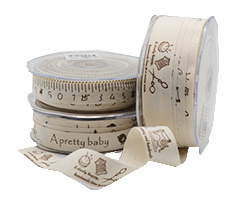 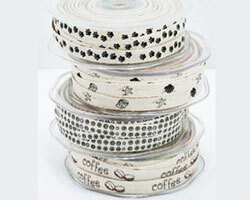 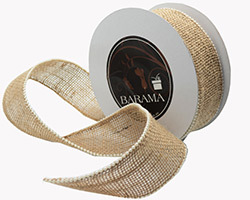 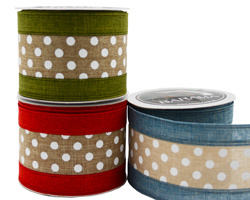 Cotton like tapes, perfects for all foodies! 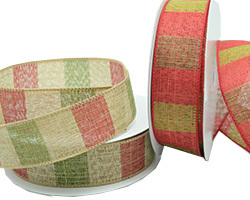 Country style prints on grosgrain. 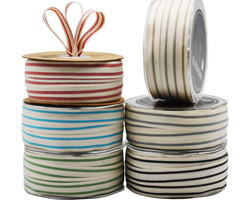 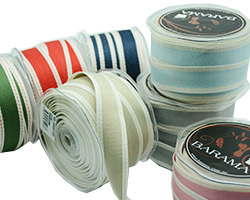 A canvas style ribbon, the stripe in classic summer colours. 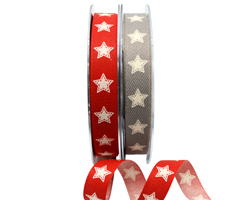 Available with Red, Blue, Green, Stone or Black stripes. 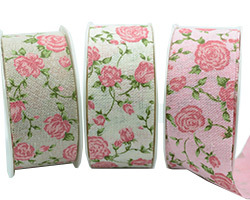 Pretty laces available in White, Cream, Dusty Pink, Slate and Mint(NEW). 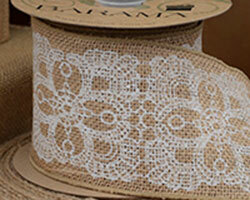 A beautiful linen lace ribbon. 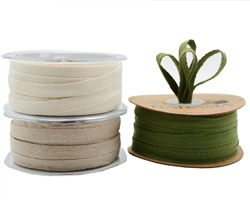 Available in a natural linen colour. 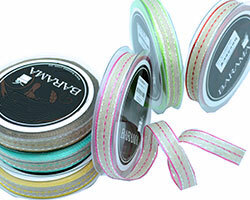 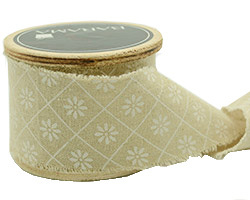 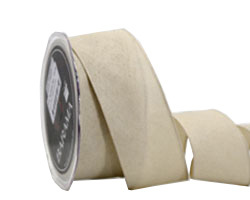 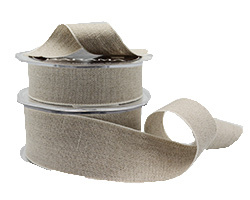 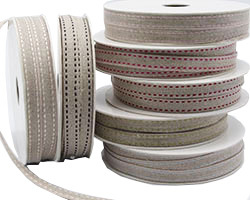 A good value for money wired edged ribbon in natural looking Taupe. 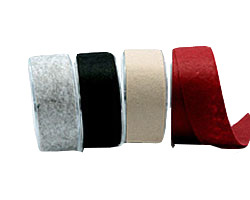 Cut edged felt ribbon in rich, strong colours. 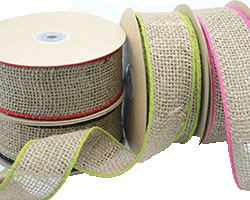 A natural jute ribbon with edge stitching that adds a bit of colour. 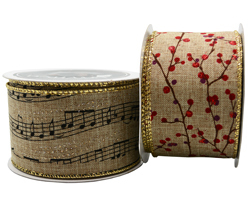 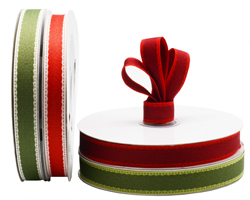 This stunning wire edged ribbon with a blanket stitch detail could be used throughout the year to enhance any wrapping. 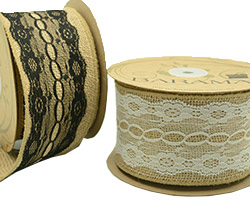 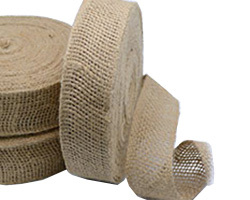 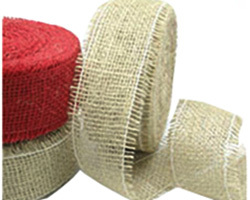 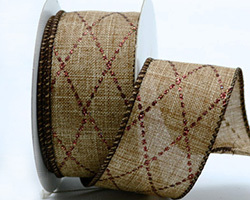 A popular loosely woven jute ribbon with an open edge that enhances it's rustic style. 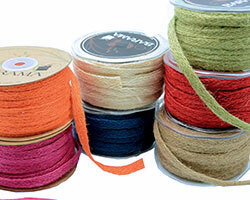 The edge has been stitched to prevent any further unraveling. 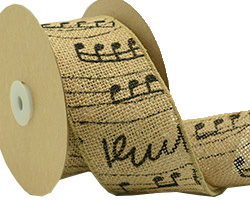 A very rustic jute ribbon. 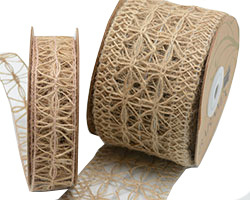 Open weave with woven edges, economically priced to allow for large casual wrapping. 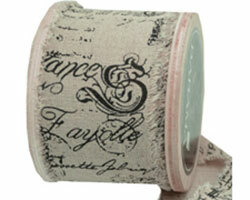 Another vintage style ribbon with old fashion script to complete the impression. 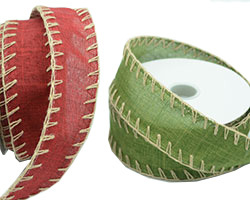 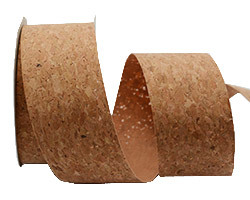 Available on a wooden spool. 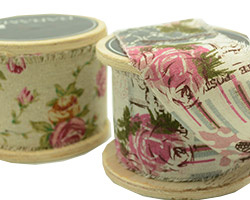 An old style, linen look, wide ribbon with a pretty print. 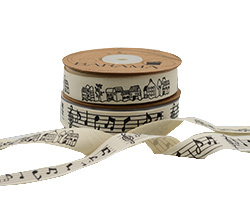 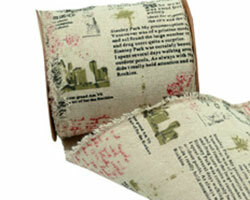 A wider vintage style ribbon with newsprint. 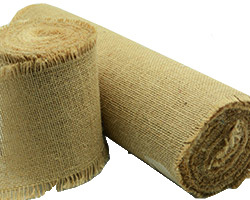 Versitile jute in three wide widths.